Customer service isn’t a department. I heard that comment on the radio the other day and it took me back. It also served as a solid reminder. Not that long ago, and more often than not, there were special assigned staff and departments for customer service. The classic line in those days – “Sorry, I can’t help you, but go see (name) in the service department or go see the host or hostess over there” (or go see any other assigned person). In retrospect, it was pass the buck . . . kick the can. Fast forward to now: That dog doesn’t hunt. Employee shortages, the speed of change online, higher customer expectations, and competition all say service must be much more and much better. Offering my one perspective, I’d present four thoughts which serve as a good challenge to anyone who’s employed or to employers. 1.Own it – if you have the choice between pointing and escorting, make every effort to take a customer where they’re going. If you don’t know the answer, take them to the answer and now you’ll both know. Not that long ago, a company from another region put pins on every employee – “We Care”. Newsflash! Caring is not in a sign or badge, it’s in the proof . . . our facial expression, our body language, our attitude! The proof is in every aspect of what we say and do. 2.Internal and external – treat everyone like a customer and really well! Vendor or senior manager, or fellow associate or your best customer. That’s the key. Treat everyone as your best customer. It’s too strained to turn attitudes on and off. It should actually be easier to do our best to treat everyone well. 3.Take good care of your people and they’ll take good care of the customer. Credit goes to my 10-plus years with Marriott for this important teaching. While every company believes in the customer service piece, some forget the associate piece. If you get a star performer, hang on to them and let them know they matter. If you hire raw talent, develop them. And, once again, it’s in the proof. See the YouTube from Simon Sinek on leadership – https://youtu.be/lmyZMtPVodo. An extreme idea or absolutely necessary? You decide. 4.They’ll tell thousands – the old adage was once when a customer has a bad experience they’ll tell 10 friends. We now know that multiplier is far higher! Yelp, Trip Advisor, Google … plus Facebook, Twitter, Instagram, Snapchat and more – all create accountability and now thousands have heard the story. Yet, don’t we all aspire to do our best? Nike says – “just do it”. I’d offer just do it right and do the right thing. Maybe not a slogan, but sound principal. The ultimate question really becomes – when stating “how may I help you?” does it genuinely come across that way … or would some perceive it as “how may you help me?” In fact, taking it one step further, it’s really a culture. Whether one person or a team of people, how committed are we to the person standing before us? 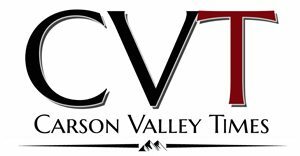 Carson Valley reflects a culture of friendliness and helpfulness, yet there’s opportunity to keep improving. What one step could you personally take to help exude a culture of service at the highest level? The department isn’t there anymore.